In this post, we are going to explore the types of dog crates available, why your canine companion may benefit from one and tips on how to crate your pet properly. Plus, we'll also take a look at our top five picks for the best dog crates. This plastic kennel has outshone the others due to its dual doors; one at the front and one at the top. Both doors are made out of steel with safety locks to keep your pet secured inside. This durable unit is made in the USA and meets most airline standards. Plus, it comes in four different color combinations. 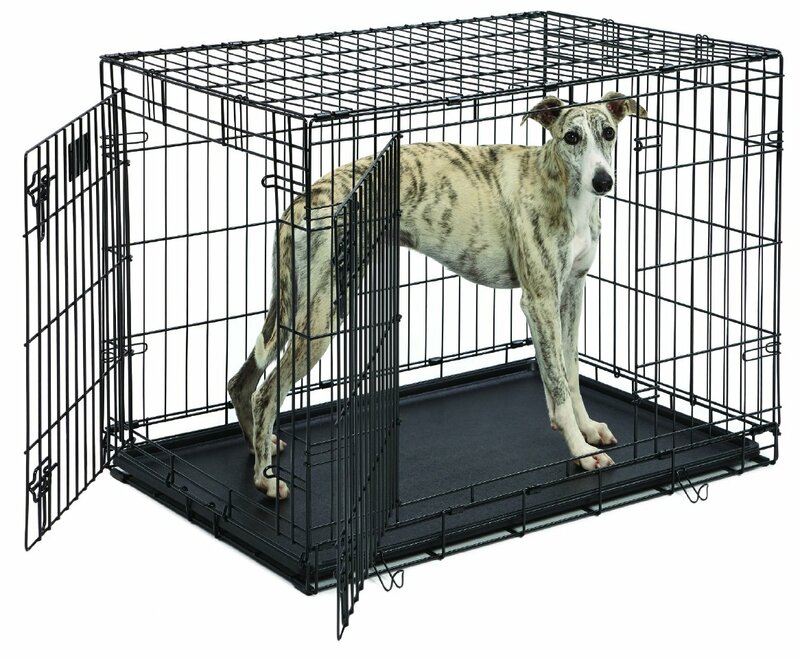 This wire crate uses the heavier gauge steel in its superior design and comes with a divider to grow with your puppy. The sturdy structure includes a leak-proof plastic pan for easy clean ups, a carrying handle, plus rubber feet to protect your floors. In addition, the whole unit collapses flat for easy storage or for when you are traveling. 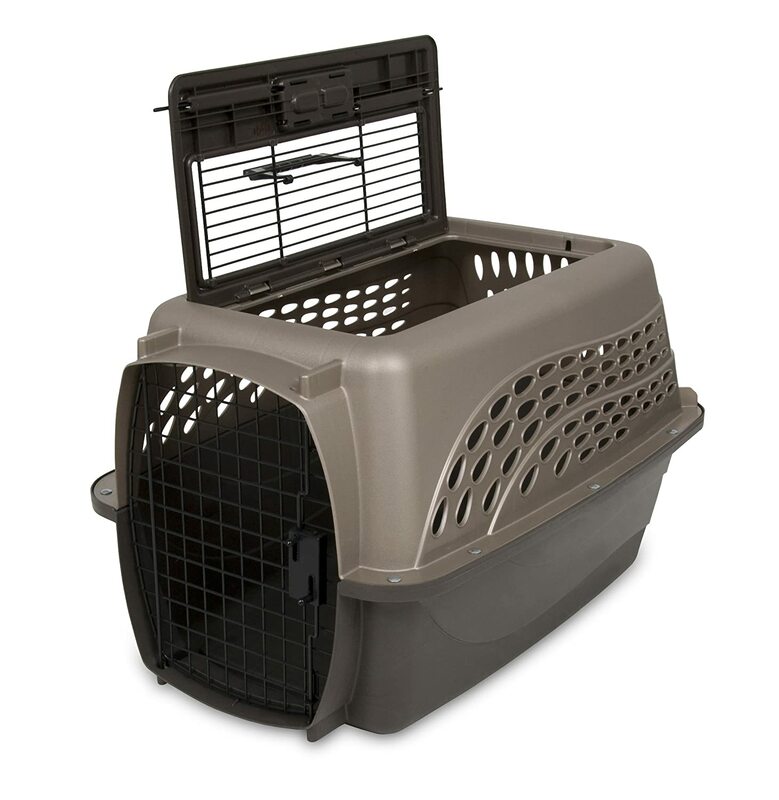 This pet crate is more than just a carrier, it's a cozy home for your canine companion. This unit is one of the best of its kind due to its ease of set-up (and takedown). The frame is made from strong steel tubes with 600D fabric and hex mesh fabric covering. 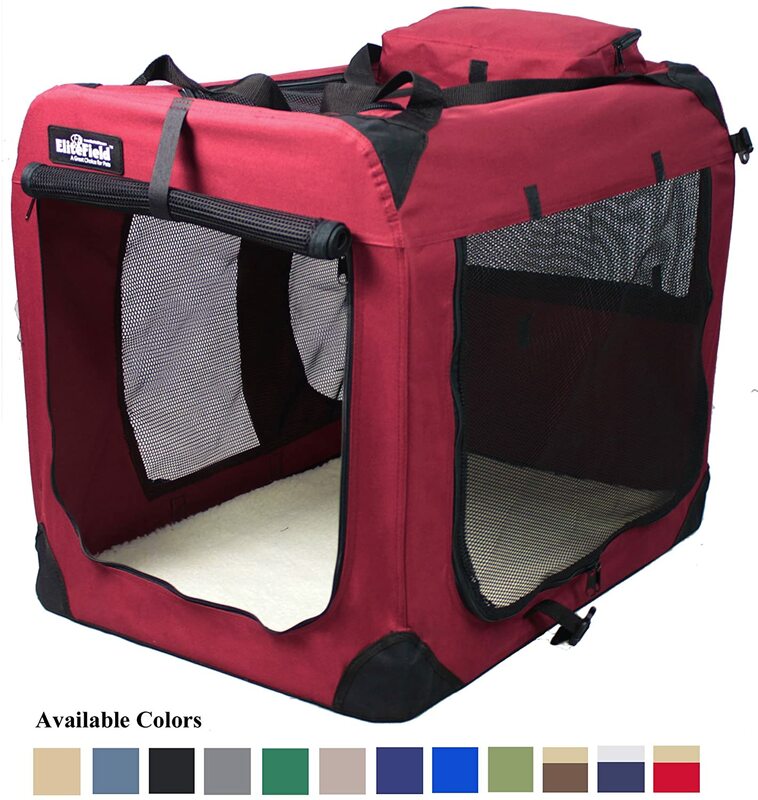 It is a well ventilated, stylish, lightweight and a durable crate that is sure to become your pet's favorite place to sleep. 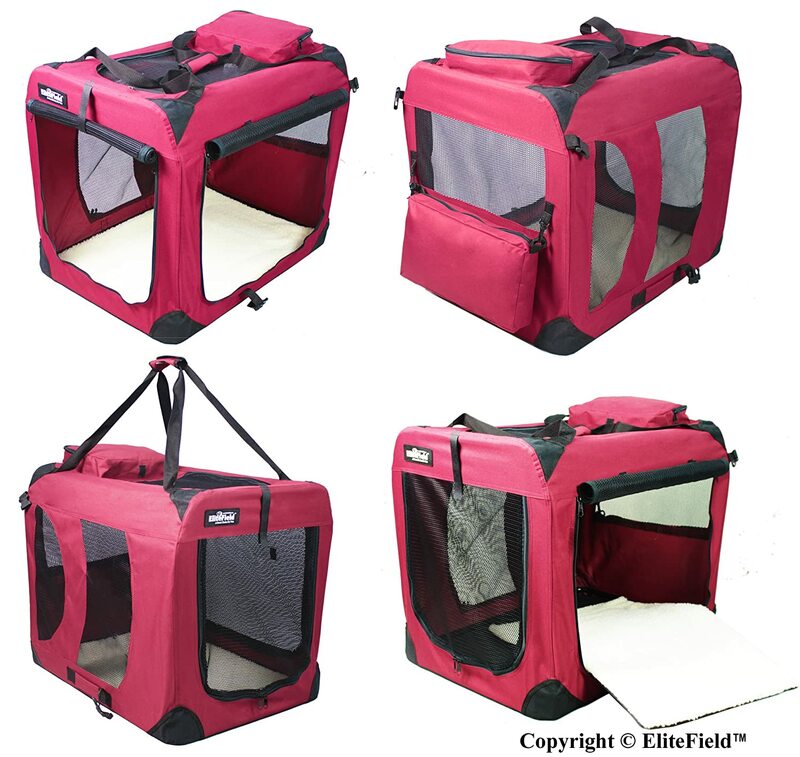 In addition, the EliteField crate comes with three doors for superior ventilation and ease-of-access. This is one heavy-duty crate that will stand up to the toughest dogs. This virtually indestructible design uses tough welds and stout dual door latches. The unit is rust-resistant and finished in a long-lasting hammer-tone that will fit into any decor. In addition, It has a grated floor and a removable tray for easy clean-ups. The locking casters are removable as well for a stationary crate or they can be left in place for easy relocation. Style meets functionality in the Casual Home fashion dog crate. 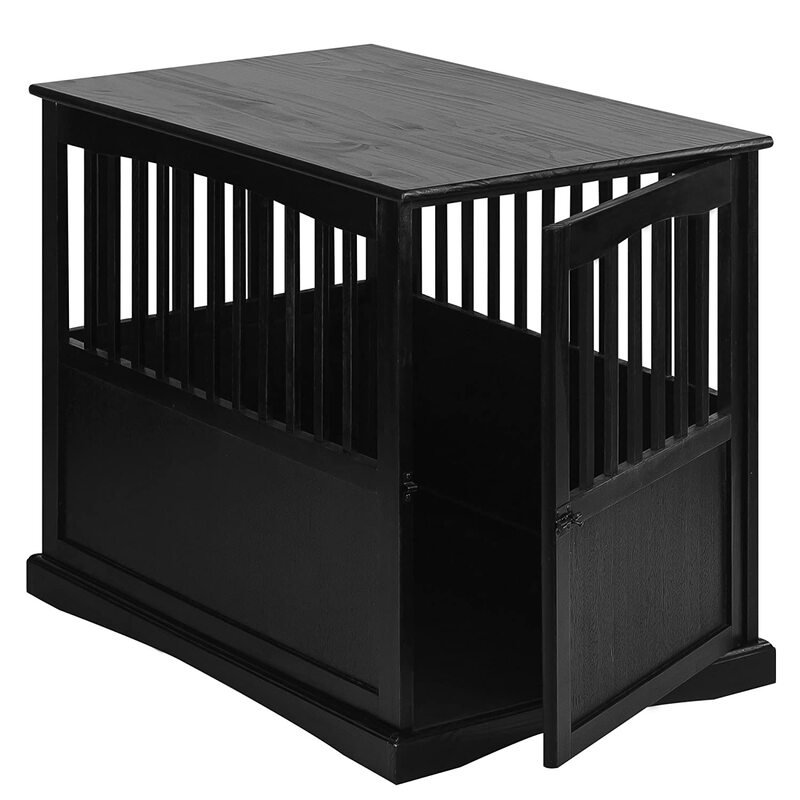 This unit is made from solid wood, with slats for ventilation and for your dog's viewing. The secure latch will keep your pet safely inside while the crate itself can also double as an end table. It also comes in two sizes and three neutral color options. 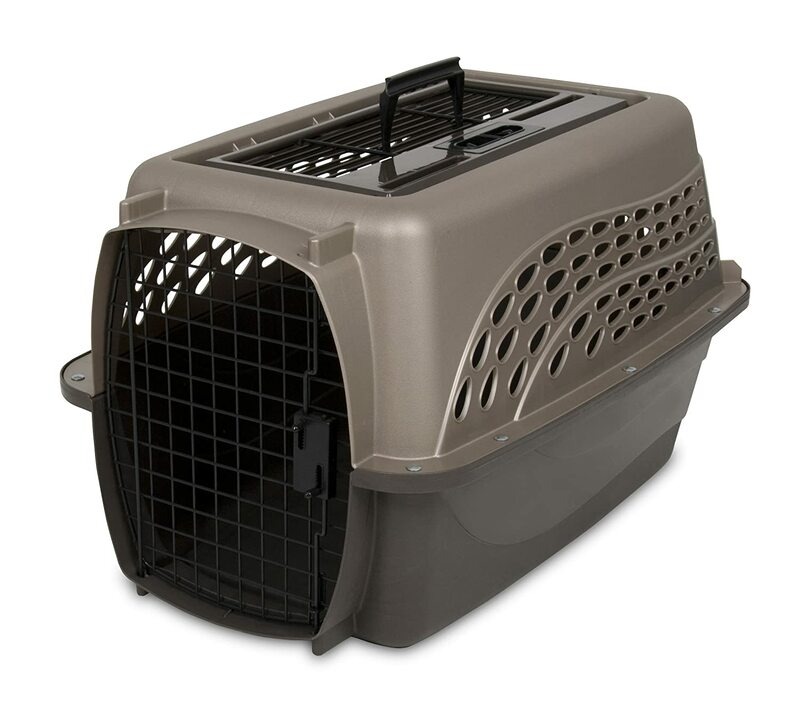 These crates are great for those pooches that want more privacy or for pet parents that travel by vehicle or airline. The crate itself is made from heavy-duty plastic, with either a stainless steel door or a thick plastic door. It provides adequate ventilation for your dog and is easy to wipe clean. 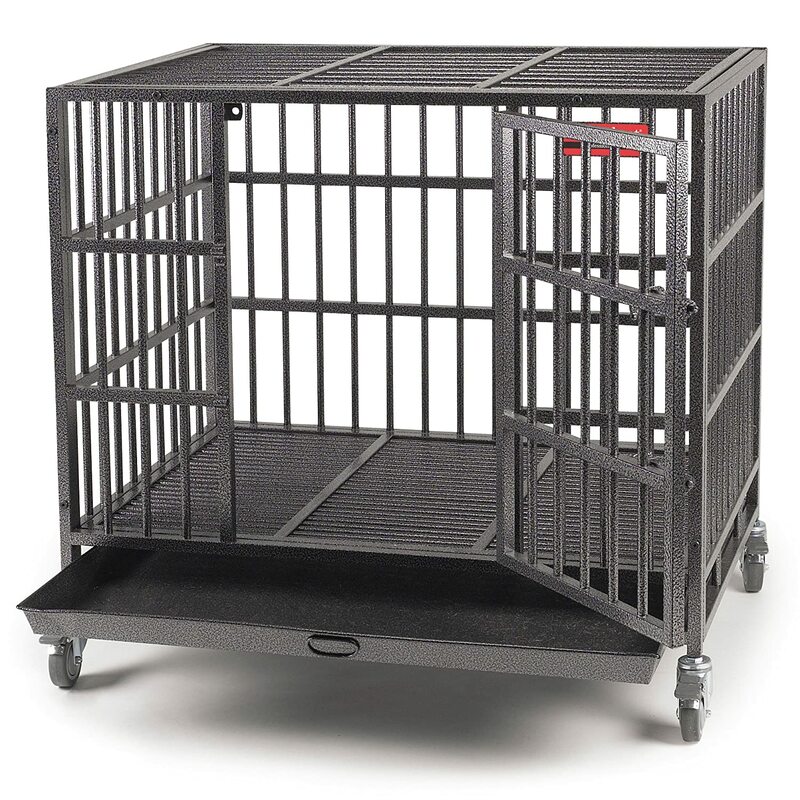 This type of crate provides more ventilation and are made from durable stainless steel. 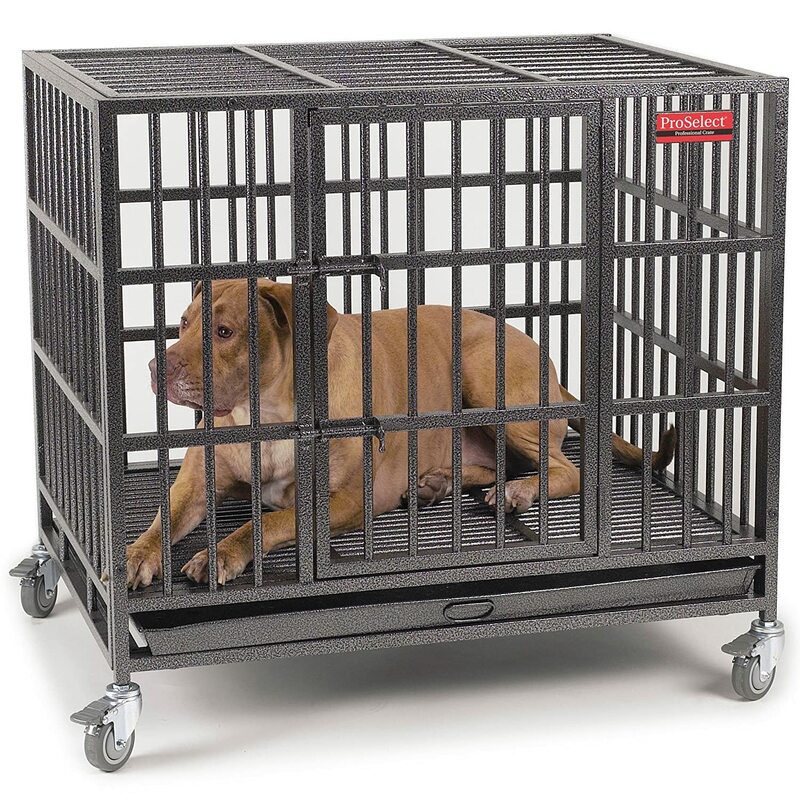 Some offer an adjustable panel that will allow the crate to be enlarged as your puppy grows. The wire crate is also easy-to-clean; however, they can be heavy and an eye sore for some pet parents. Although this type of crate can be stylish, it can be easily chewed through or escaped from, which is why they are recommended more for smaller dogs. In addition, this type of crate is not airline approved and can be more difficult to keep clean. As the name implies, this crate is built to last. It will be a cinch to clean and some even come equipped with wheels for easy moving. For the pet parent with a dog that is not destructible, the Fashion Crate provides both style and functionality in one. These can be made in both wood or rattan so it will fit nicely into any decor and some can even double as a side table. However, they may not be the best option if you are trying to housetrain a puppy as it won't be easy to clean. Why Does My Dog Need a Dog Crate? There are a few reasons why pet parents decide to use a crate for their puppy or adult dogs. Housebreaking - using a crate to help housebreak a puppy can be a handy tool when used properly. Safety/Security - dogs are denning animals. A crate provides your dog with a safe, secure and comfy place to call his own and to get away from it all. Time Out - if done properly, putting your dog in his crate when he becomes over-excited is a way to help him relax and gain control. There are some general tips to follow when you decide to crate a puppy or dog. Tip #1 - Time Limits According to Petfinder, a good rule-of-paw for crating a puppy or dog is no longer than one hour per each month of age, and no longer than nine to ten hours (a work day) for adult canines. Tip #2 - Safety First It's not a good idea to leave your dog in a crate when wearing a "correction" collar. These could become caught posing a risk to your dog's health and well-being. Tip #3 - Practice Makes a Perfect Pup Just putting a dog or puppy into a crate and shutting the door is a recipe for an anxious and stressed out canine. A dog that panics inside the crate can do harm to himself. Plus, this reaction will then make it even harder to crate train the dog down the road. Tip #4 - A Crate Should Not Be Used as Punishment Ultimately, you will want your dog to use the crate as his own little "room." For this reason, never use it as a punishment as this will only create fear and a refusal to willingly enter it. Now that we've explored the world of crates and some helpful tips to help you with this training method, you can make an educated decision. Choose the crate that works best for you and your pet, then make your dog's new "den" as cozy and friendly as possible.